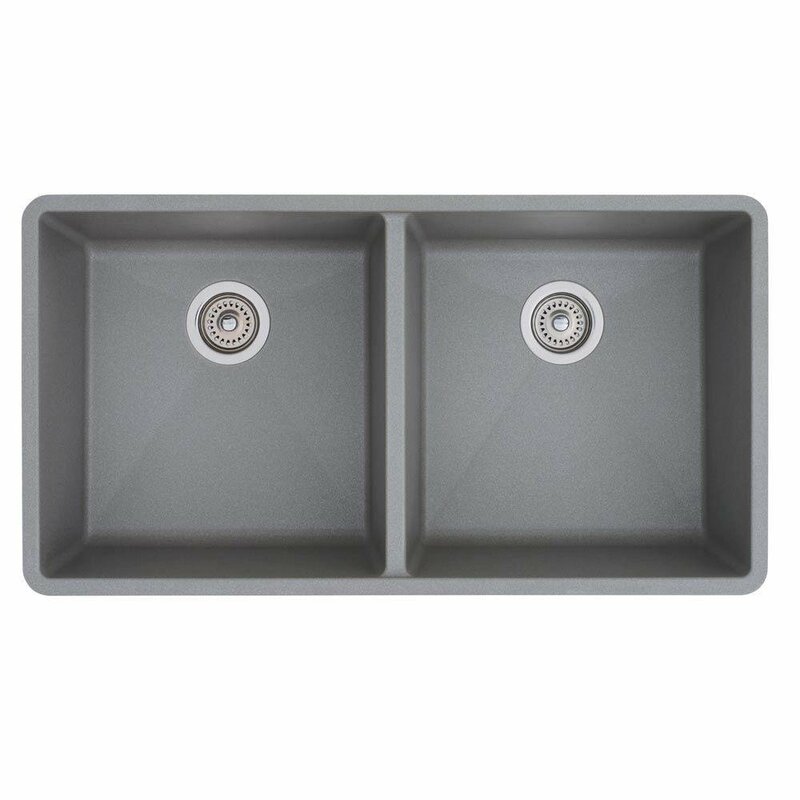 If you are in the market for a new kitchen sink, you have to know that the granite sinks are becoming more and more popular, while the ceramic sinks and the stainless steel ones are losing more and more ground in front of them. The granite composite is a great choice for the kitchen sinks and there are many reasons that will convince you. They are very modern looking, stylish and beautiful, and they are very practical as well. They will grant you many years without scratches, chips or stains. However, before making such an important purchase, you have to know all the details such as their features, the pros and the cons, and you can find out everything about the Blanco Precis here. This sink is great if you have a big family and you always have to wash a lot of dishes. The two bowls are equal and this is a great feature because you will have enough space to wash the dishes, as well as fruit and vegetables. 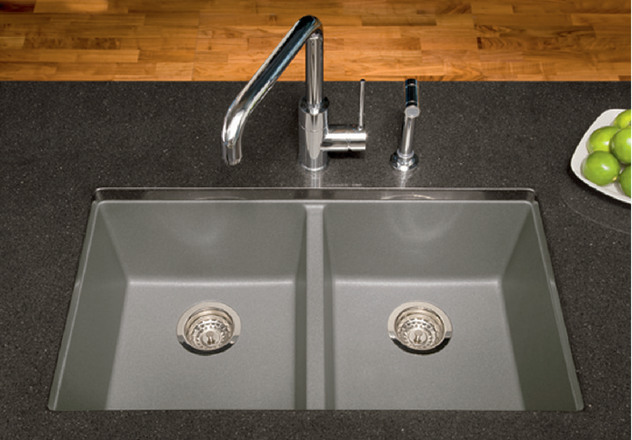 This sink is dedicated for the smaller kitchens, or if you are shorter because the depth of the sink is just 8 inch. It is a good choice if you need more free space underneath or if you are shorter and you have to install the sink lower. All in all, the Blanco Precis sink is a great choice in many cases. 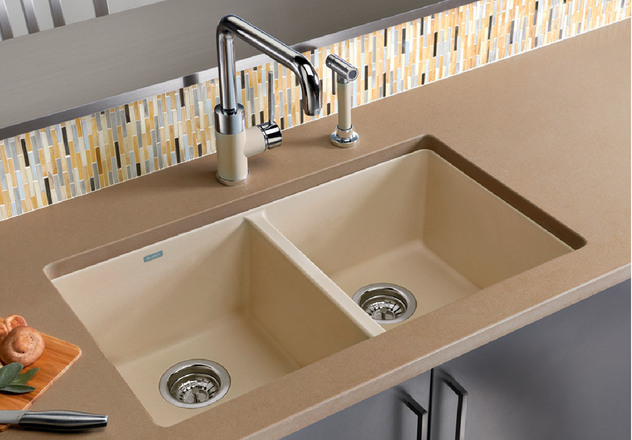 If you love a natural but modern look, choose this granite composite sink and you will be satisfied. You will have it for a lifetime and it will look the same as on the day you bought it. No stains, no cracks, no chips, you don’t need special products to clean it and it goes with every interior. The granite composite sinks are the best choice if you decide to remodel your kitchen and you will never regret this decision.